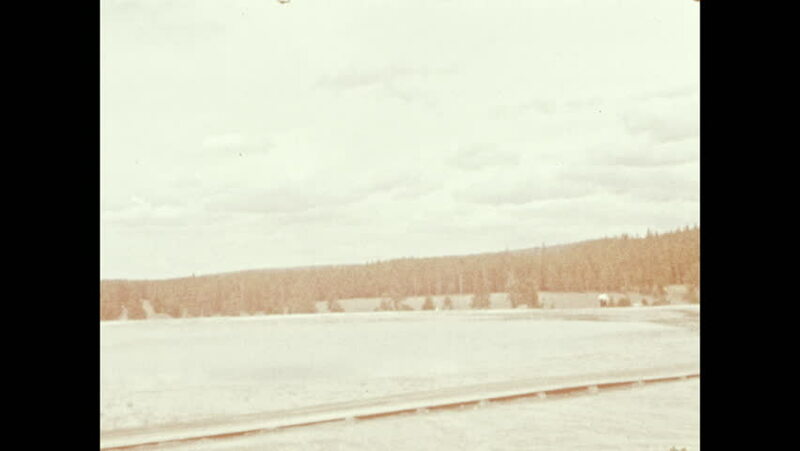 1940s: Young man stands along the edge of a hot spring. 4k00:151930s: Outrigger canoe paddled on the ocean. Canoes on the water. 4k00:261940s: Aerial view of Bucks County and Delaware River. 4k00:231940s: Young man walks along edge of hot spring. Steam rises off water. 4k00:211930s: Fence alongside country road, mountains on horizon. Train passes on side of road. Driving down road, hill and ditch. 4k00:171950s: UNITED STATES: view across landscape. Deer in distance on prairie. 4k00:171940s: Horses race down a dirt track. Boats drive on lake. 4k00:271950s: Plane takes off. Man watches plane from tarmac.